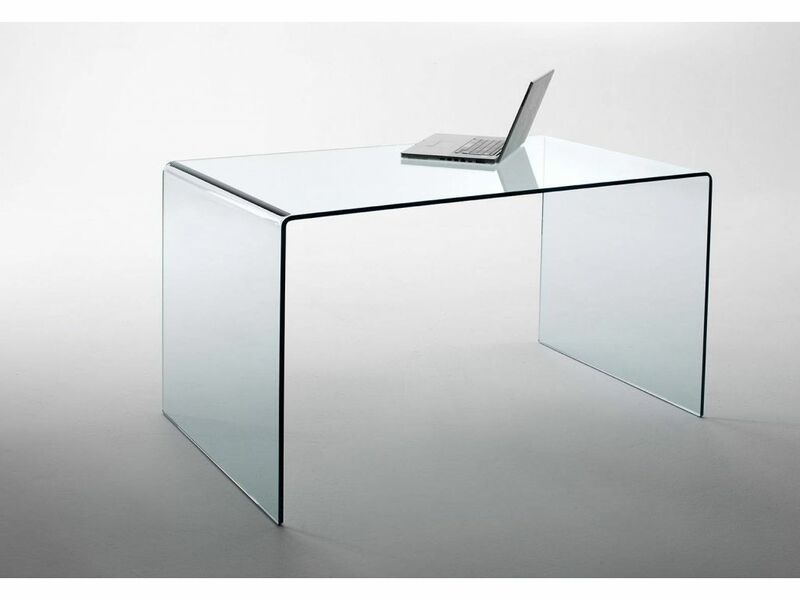 Last 2104 items in stock! 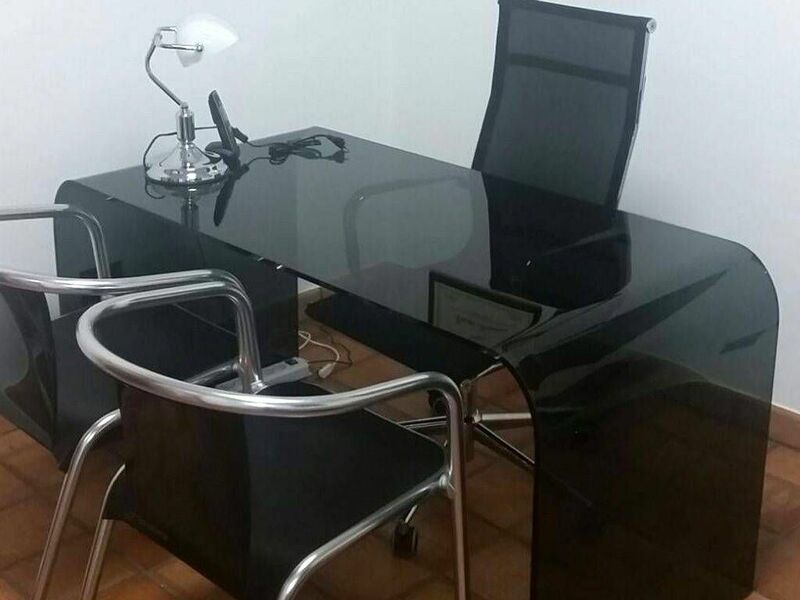 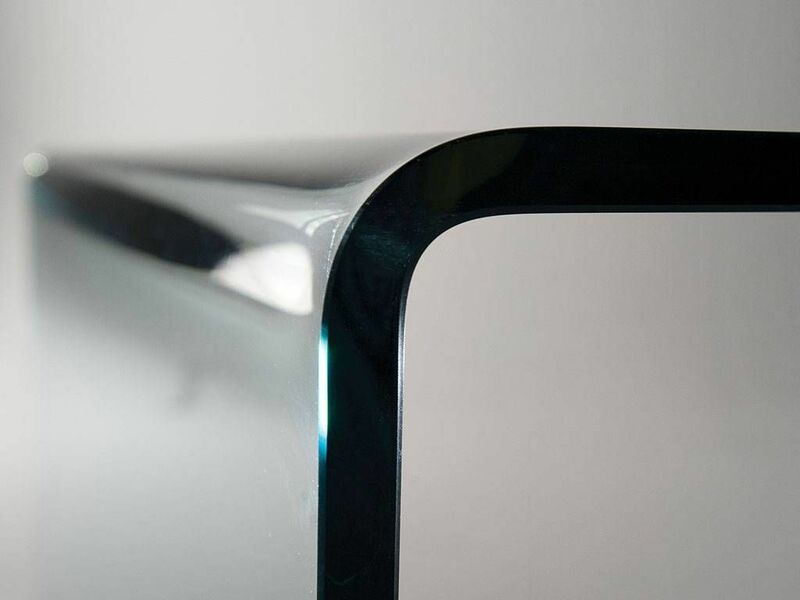 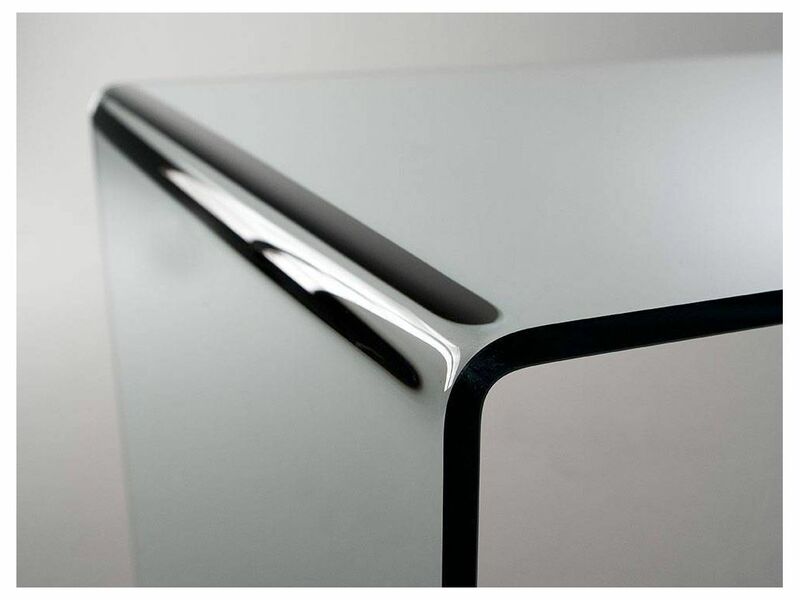 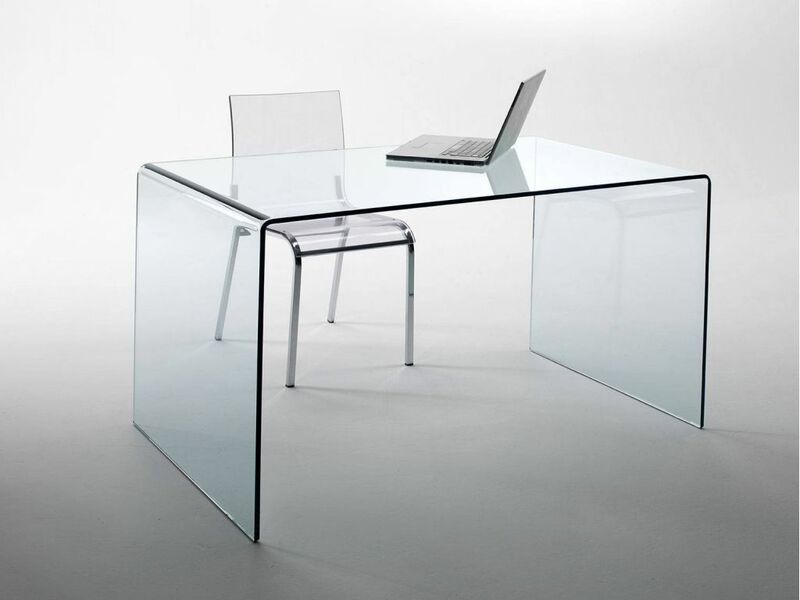 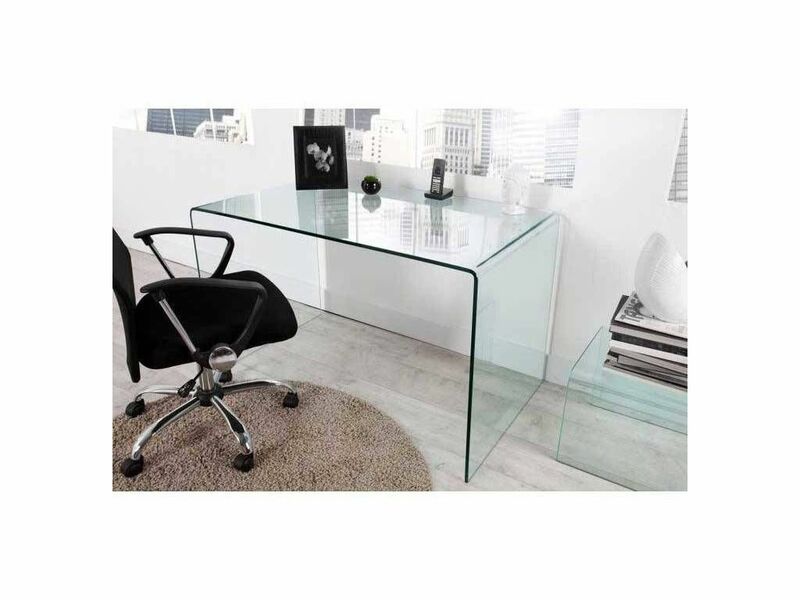 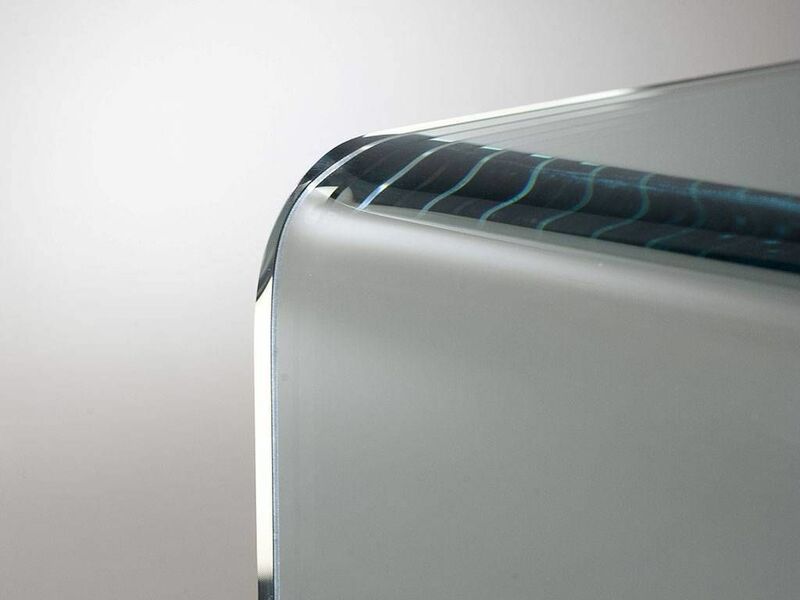 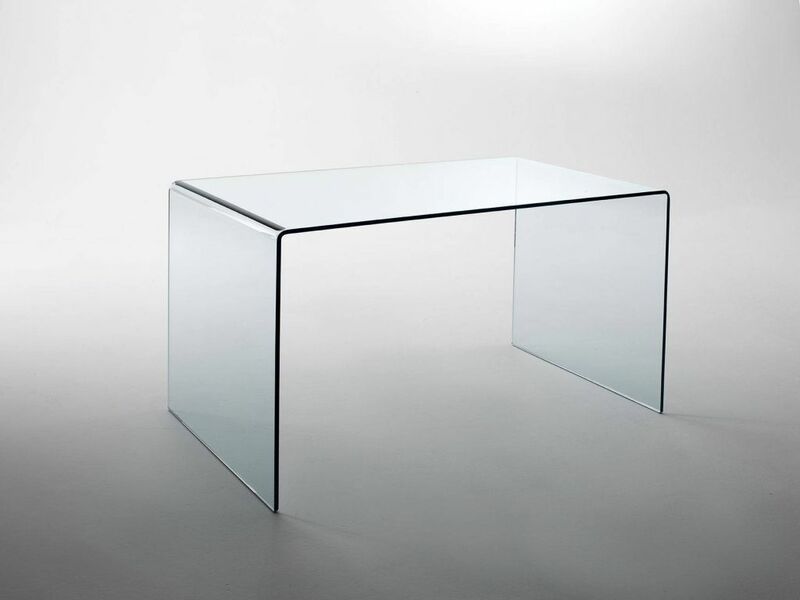 Bridge shaped desk in curved crystal of 12 mm for the studio and the office. An elegant and functional desk, which illuminates with trasparency and thanks to the features of the glass the whole environment, giving to your office or your studio a bit of classic beauty. 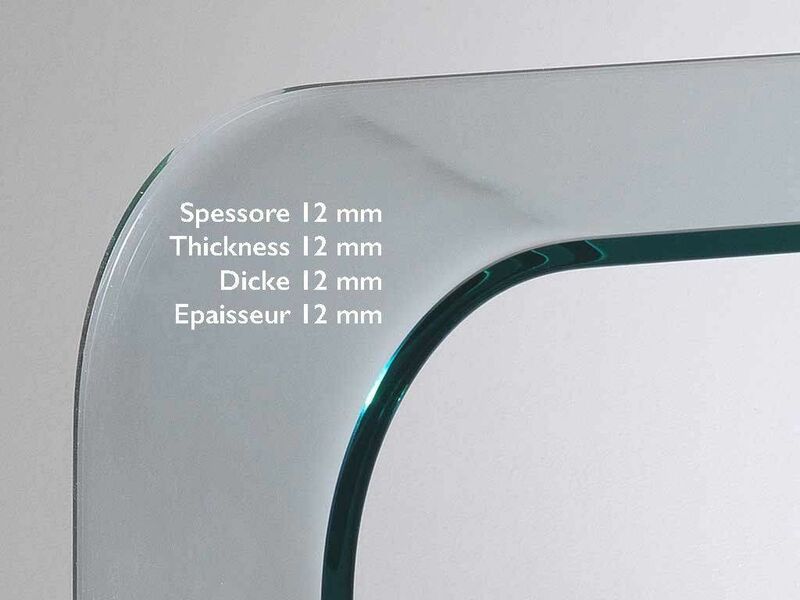 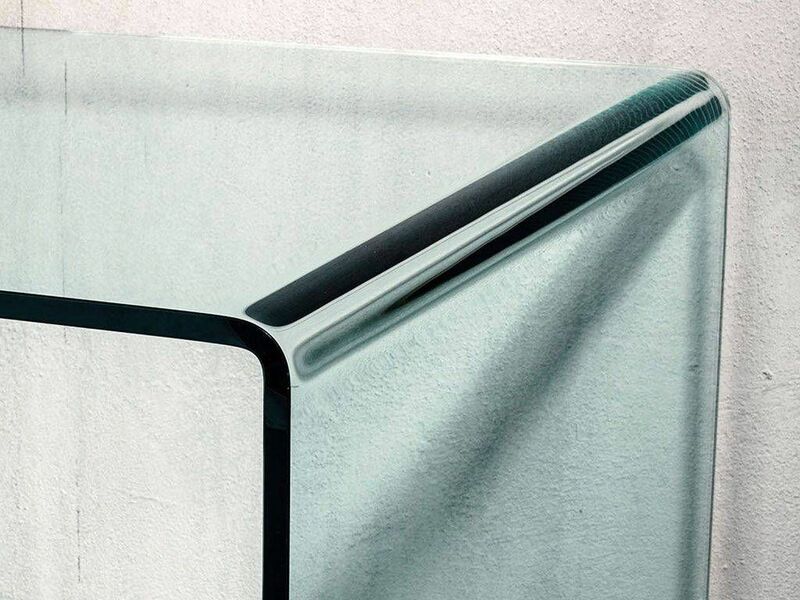 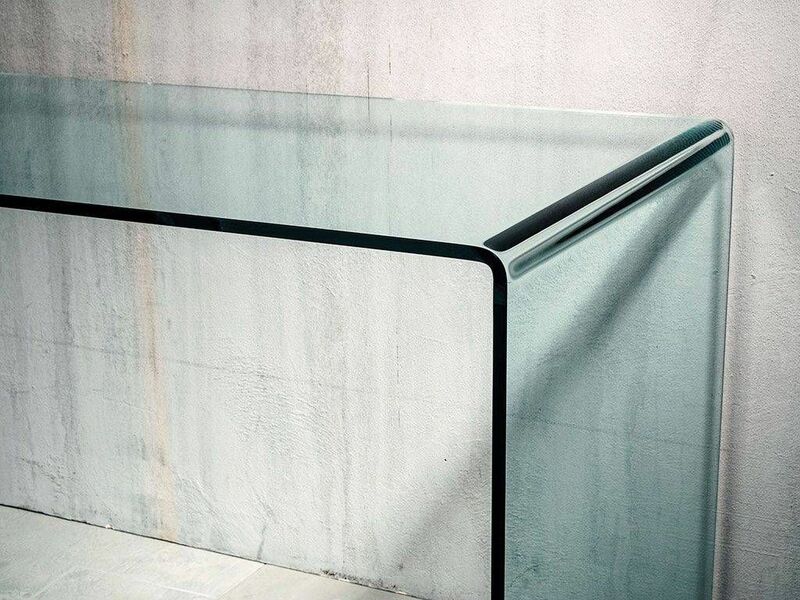 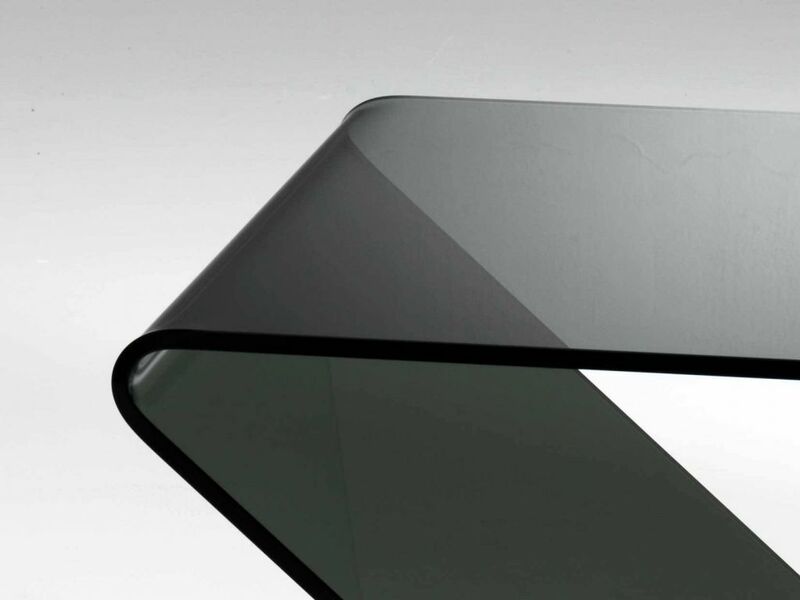 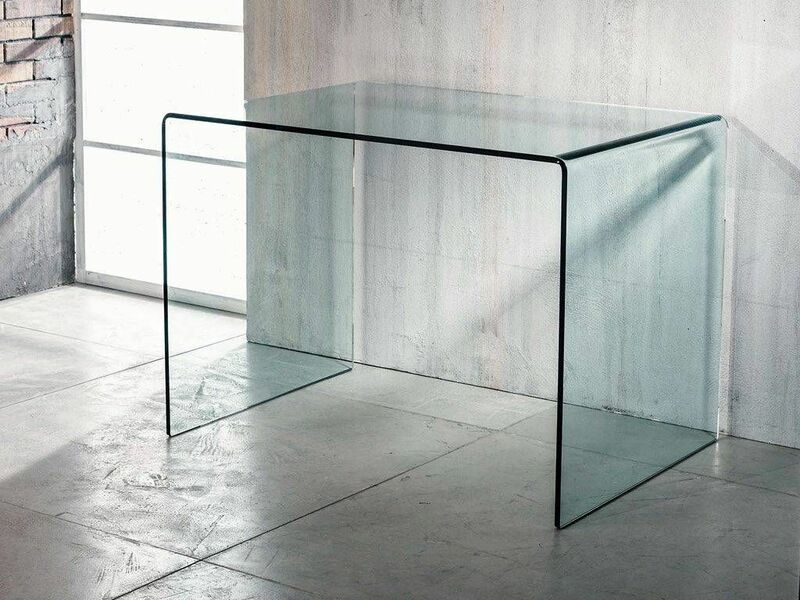 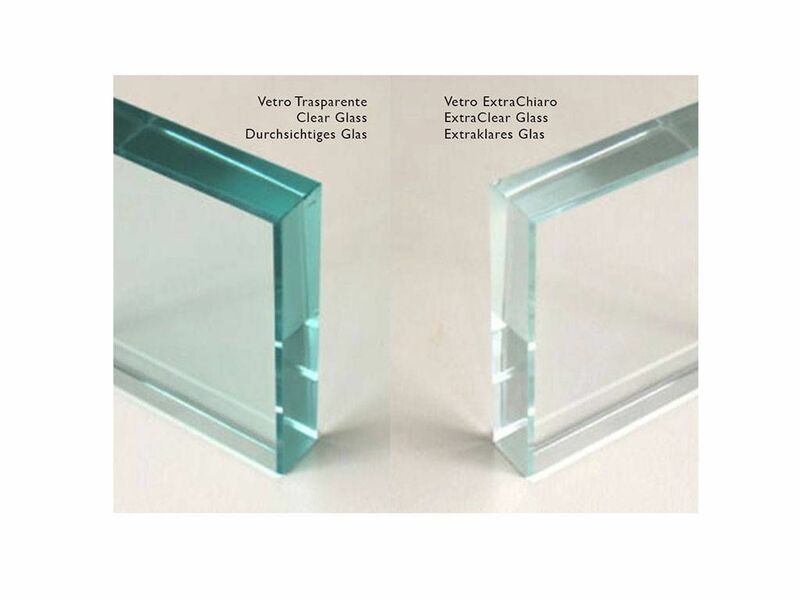 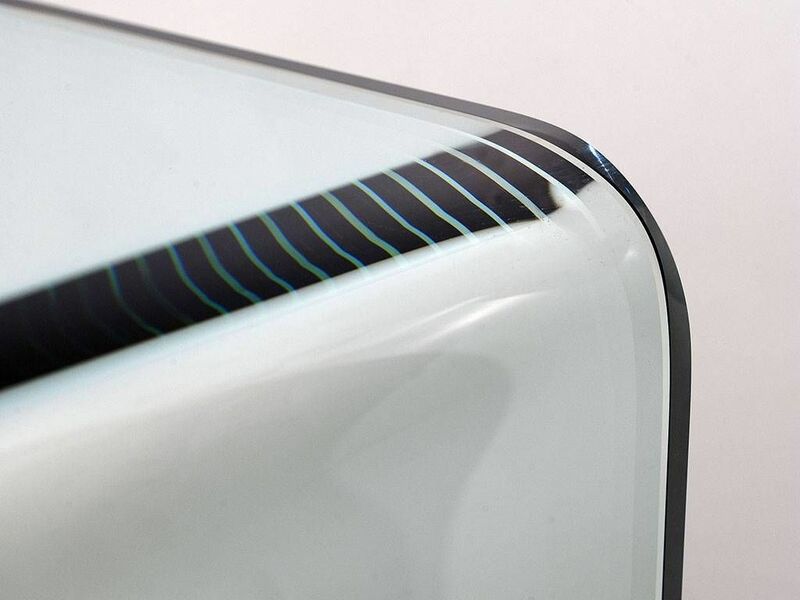 140 cm in classic trasparent glass, extra clear trasparent glass or in smoked trasparent glass. 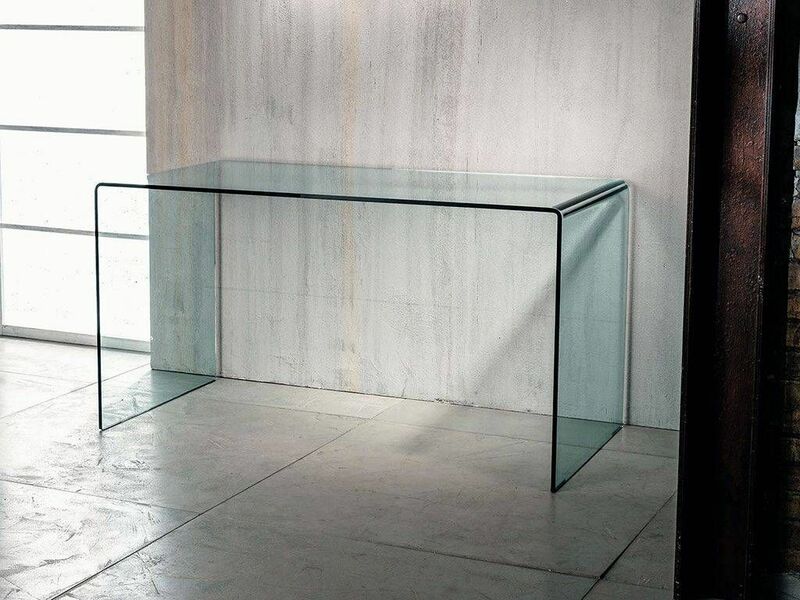 160 cm in classic trasparent glass, extra clear trasparent glass o smoked trasparent glass. 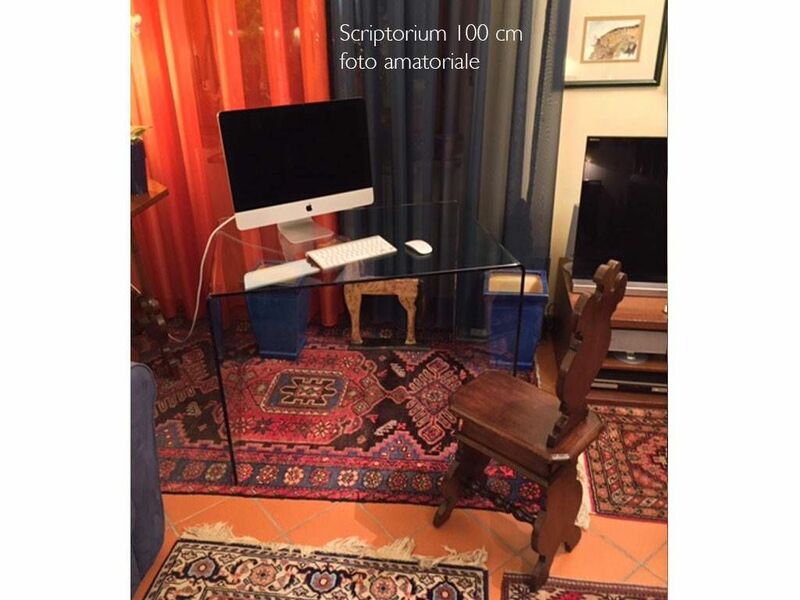 Scriptorium 140 e 160 with large radius of curvature. 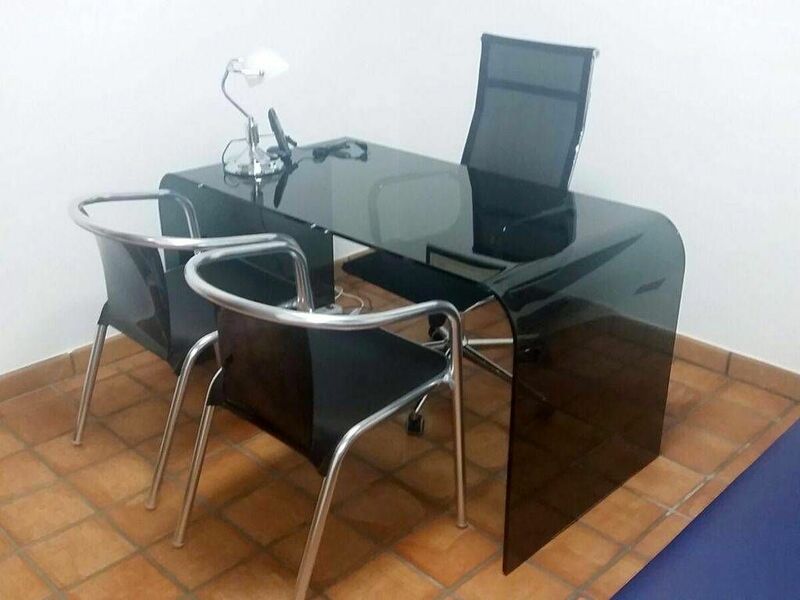 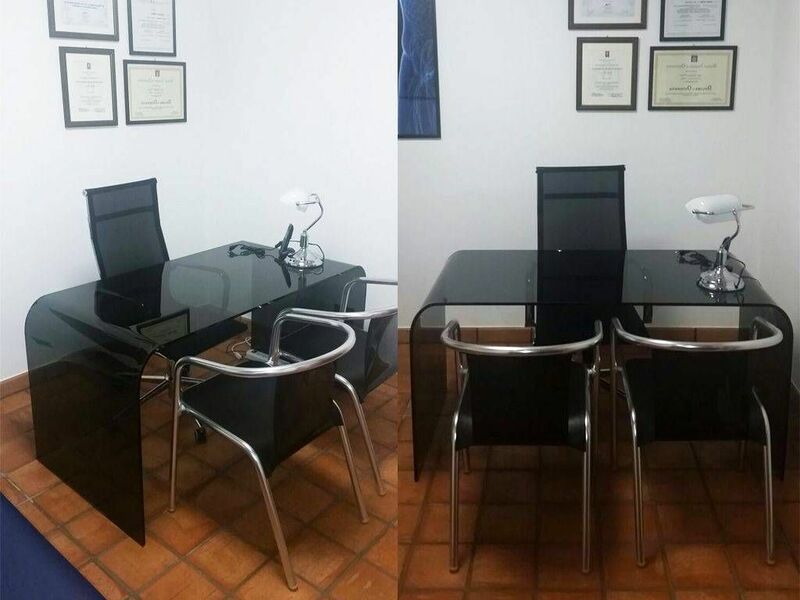 DESKS OF 140 AND 160 cm, CAN BE CUSTOMIZED IN THE MEASURE OF THE DEPTH ALSO WITH DIMENSIONS LOWER THAN MAXIMUM. 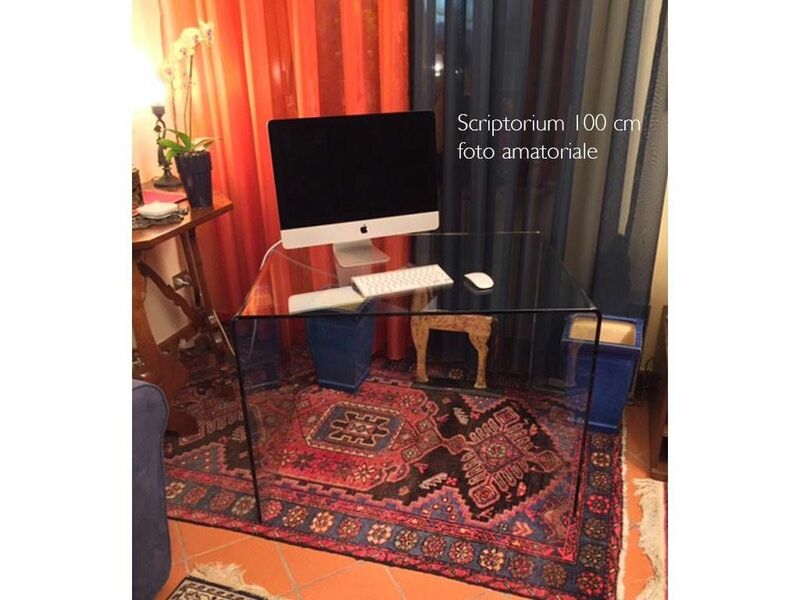 BEFORE START CUSTOMIZING, REQUEST INFORMATION BY PHONE OR BY MAIL. 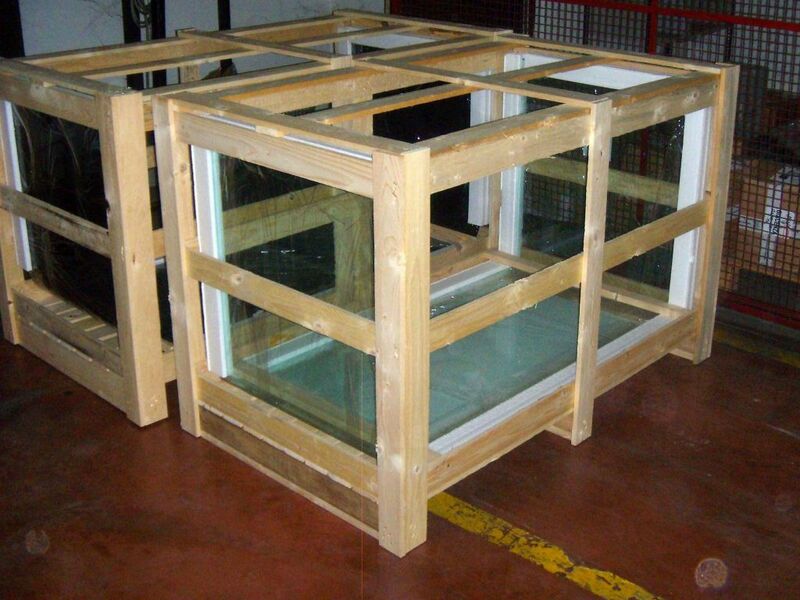 The desk is shipped with wooden cage mounted on pallets.